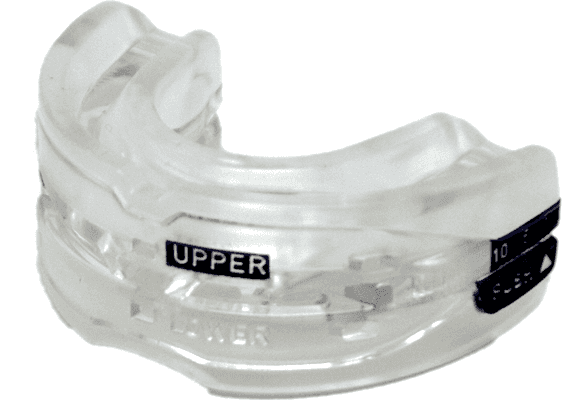 The SnoreDoc and SnoreRX are both classified as MADs (mandibular advancement devices). My experience with each of them is similar to that of a majority of consumers. Both MAD devices do an excellent job of preventing snoring. The SnoreRX the slight edge over the SnoreDoc due to its more slender design and adjustability, which ensures a comfortable fit. 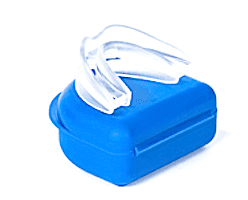 The SnoreDoc has a bulky mouthpiece that in my experience caused lasting soreness. The over-the-counter SnoreDoc operates like all MAD devices. The SnoreDoc forces the lower jaw into an advanced position to reduce the risk of obstructing the airway. SnoreDoc is made out of thermoplastic to achieve that boil and bite fitting method and to allow your mouth to move as freely as possible. I purchased my SnoreDoc for me and my wife through an online site. It arrived quite fast. There was no assembly required, however, you should make sure to follow the boil and bite fitting directions, as it will be extremely difficult to readjust at a later time. My wife and I got a good night sleep the first night while using the SnoreDoc. I awoke refreshed from the amount of sleep I got. Our son reported that he heard no snoring coming from our room. We both had very sore mouths, though, which did not diminish very much over the course of the next few days. Cleaning was relatively easy, as it only required a cup, warm water, and some dish soap. The sleek design required some extra scrubbing of the hidden cracks and crevices. After the two-week trial, we both discontinued using the SnoreDoc due to the unrelenting soreness. Available SnoreDoc Coupons located here. The SnoreRX looks a lot different from other MADs. The overall look gives you the impression, which is accurate, that the SnoreRX incorporates more advanced technology than other MADs do. One of the crucial features is the ability to fit precisely the SnoreRX to your mouth. It uses boil and bite, but also has a calibrator with ten different, 1 mm apart, settings. You can use the calibrator even with the boil and bit to further customize the fit. Ordering two, which I did as my wife needed one also, provides a big discount. The $99 price drops to $77 each, plus a $10 shipping fee. The fitting options were a bit too complicated. My wife and I used the boil and bite fitting method, but then spent a fair amount of time trying to get the perfect fit by adjusting the calibrator function too. My mouth was a bit sore after the first night’s wear but my wife reported she felt fine. Both of us had a good nights’ rest. The biggest issue I had with the SnoreRX was the cleaning process. The process took much longer than expected. All the cracks and crevices needed more attention than just putting it in a glass of warm water and adding a cleaning tablet. The second night I adjusted my SnoreRX a little bit using the calibrators. This adjustment made a big difference as the next day my mouth was not sore at all. My wife and I both agree that the SnoreRX, despite its rather bulky appearance, is very comfortable to wear and also works. Both devices function as designed. However, the SnoreRX comes out ahead for several reasons. The SnoreRX’s hybrid and sleek design means it is less bulky and more unobtrusive to wear. In addition, you will not have to worry about having a sore mouth every morning. If you are only buying one for yourself, the SnoreDoc price and free shipping make it a better bargain. Many users are put off by the SnoreDoc’s complex cleaning steps and end up purchasing a SnoreRX, however. If you purchase either mouthpiece, check out my SnoreRX coupon and SnoreDoc coupon pages.